Young Centurions is an implementation of the Fate Accelerated RPG which I reviewed here a few weeks back. 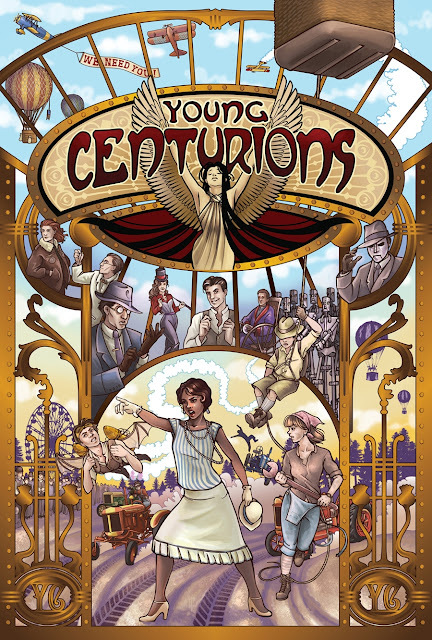 Young Centurions is a prequel to Evil Hat's first Fate RPG, Spirit of the Century. In both games the premise is on the first day of every century, at the stroke of midnight, are born a bunch of heroes, Centurions, who will embody some aspect of the spirit of the upcoming century. They aren't superheroes, but they are definitely a cut above your regular person. They make things happen, whether as inventors, psychics, explorers, crimefighters, etc. They are opposed by Shadows, their counterparts born on the last day of the previous century. They represent a negative aspect of the new age. Only a fraction of the babies born on these dates become Centurions or Shadows. Centurions and their counterparts live long lives, to the extent that there will be some who survive long enough to serve as mentors to the next century's Centurions. With some attendance issues over the past few games we've been doing some gaming experimentation of late in our gaming group. 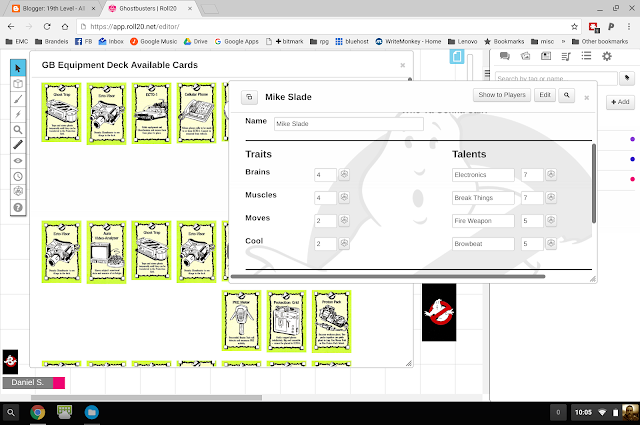 I was able to play in a Monster of the Week one-shot and last session three of us did a game of Ghostbusters (I GM-ed this one). This isn't a full review of all the incarnations of Star Trek but rather some thoughts on my experiences with them. 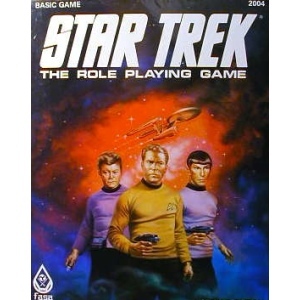 Modiphius has just announced that they will be producing a new Star Trek RPG which has gotten me talking with a number of people I know from previous incarnations. So to begin, my background. Once upon a time (around 1975) I was a preschool and kindergarten kid living outside of Syracuse, New York. My mom would want a little bit of peace and quiet while she made dinner. And as it so happened, the show with the guy with the funny ears was on at that time, which apparently was capable of entertaining me. And the rest is history. I had no choice but to be a Trekkie. "I guess he's going to Queens - he's going to be the third scariest thing on that train." 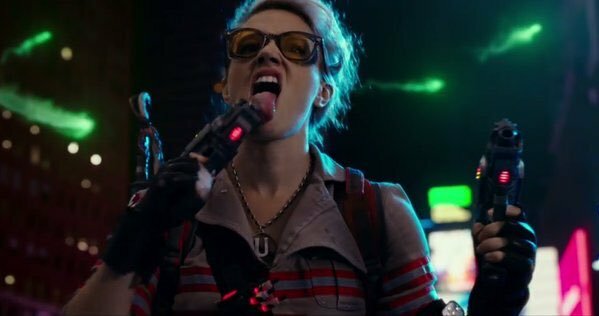 I'm not certain why but the reboot of Ghostbusters is a bit of a target for people who like using terms like "feminist SJW". So I'll air my own prejudices - I'm probably what most people who hate "social justice warriors" would consider a "social justice warrior". With that out of the way, how was the film? I'll put it in the category of a lot of fun but not a masterpiece. It has some tough competition - the 1984 Ghostbusters is a comic masterpiece and it is difficult to conceive of a picture standing up to it. Overall, the original clearly remains superior but I don't feel the new film has anything to be ashamed of. Fate is a difficult system for me to grok. I like it conceptually, but I have a difficult time when it comes to running it. Fate is what's considered a narrative game. Instead of modeling a simulation of the reality of the RPG setting, it is designed at supporting a story. I've seen arguments as to whether or not this makes it a "real" RPG. I think the whole debate is a bit silly, dealing with issues of "bad wrong fun". Truthfully the challenges I have with it are largely a function of me being a grizzled gaming grognard, gaming since the early 1980's. To paraphrase Yoda, I must unlearn what I have learned. I've a hunch that I'd actually have an easier time grokking Fate were I to know less. 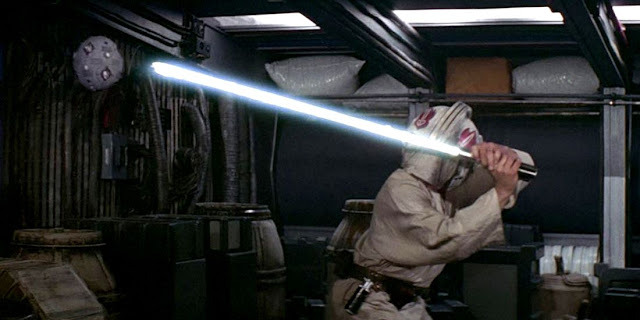 Defending yourself with just 1D in Sense is not easy, as Luke discovers when training with a remote. 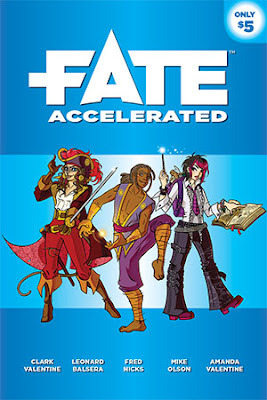 In the early 2000s one of the complaints I recall about Wizards of the Coast's d20-based Star Wars RPG was it was simply "D&D in space" vs. the previous Star Wars RPG as put out by West End Games. While I had a number of fun Star Wars games using the d20 versions, I have to confess to a bit of a preferences for the West End Games versions. 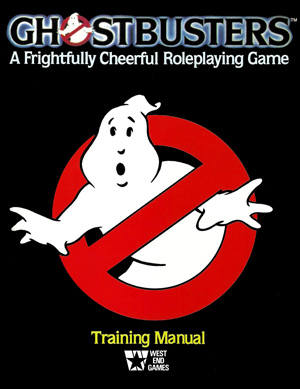 Though in a sense, you could have called that game "Ghostbusters in space". I've been giving some thoughts as to resuming our group's Call of Cthulhu game later this year. I'm finding I'm missing the insanity that is the worlds of HP Lovecraft. One thing that came to me a while back was how I'd reconcile the timeline. After all, the US Government raid on Innsmouth doesn't happen until 1928. The events of "The Dunwich Horror" also reach a climax in 1928. The Pabodie expedition takes place in 1931. We know who it is that deals with Wilbur Whateley and his brother. Unearthly Adventure Comics #255 had a cover date of June of 1958 and appeared on newsstands in April of that year. 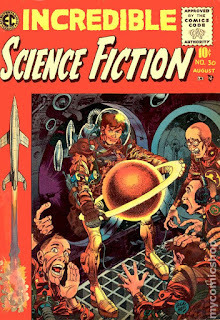 It returned to the science fiction tropes of issue #251, giving the first hints as to the cosmos around Earth. Robert Builder/The Atomizer - Reporter for the Port Henry Times-Herald, nuclear man granted powers by Trinity nuclear test.Susan Samiel - Widowed reporter for the Port Henry Times-Herald, sorceress. Specializes in binding magic.US-Polaris 1 - Robot space probe invented by Jack Parsons. Altered by aliens and now possessing telekinetic abilities. Capsule Summary Note - several elements of this are inspired or taken from Fainting Goat Games' The Great Game Icons supplement.